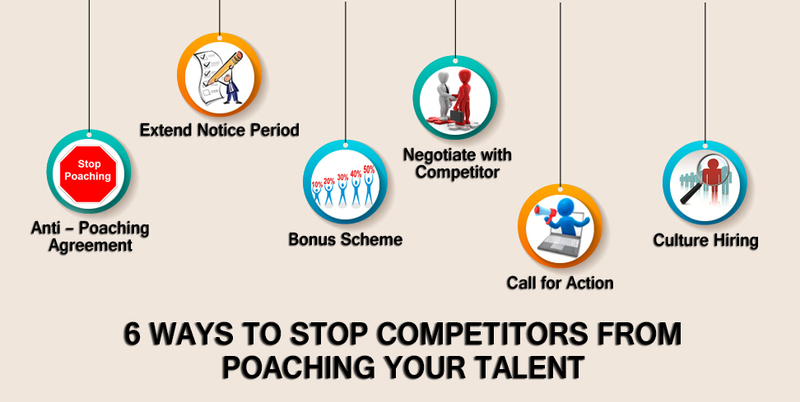 A competitors poaching of new recruits is every recruiter’s nightmare, especially if it involves a lot of time and effort invested in the process on the part of the recruiter to find that right candidate. As if this isn’t enough, but now we have to watch out for new employees being poached by competitors. Now that’s just great…. ; that’s just what I need right now! Corporate s can create an Anti – Poaching Agreement right at the beginning and circulate it within their competitive circle. This will ensure that you’re new recruits or key staff members from becoming victims of competitive poaching. In truth I’m not sure how you’ll be able to do that as recruiters and headhunters have at least four different ways i.e. via phone, email, social media and face to face; of contacting your staff members both in and out of work and there’s nothing that you can do to prevent this. So the best way is to create a resistant environment that is not susceptible to poaching for your staff. Since new recruits are likely to jump to another company it would be preferable to prevent them from being poached by extending the standard notice period to a longer duration. This means that the newly joined individual will have to go slow which might increase their chances of switching jobs. But it can to some extent reduce their chances of switching jobs. Having a bonus scheme for new recruits is a great way to attract and get them to stay for a longer duration by informing them that they will be given a bonus at the end of the month but the organisation will give the bonus at the end of the year instead if they remain an employee. This will motivate them to stay knowing that they are applicable for a bonus at the end of the month. If you’re aware of the possibility of a star player’s poaching then you can bring in your negotiations skill to the poaching company to hold on to critical staff. This will convey a strong message that you are not a soft touch where poaching is concerned. This will automatically get them to back off if you’re convincing enough. Well the other times when employees are more susceptible to poaching is during times of drastic changes such as layoffs, offices being relocated for whatever reason, strategy changes, restructures, influential departures, rumours, etc. all of these events cause employees to be uncertain and out of control. Therefore, it is essential for recruiters to monitor their staff on regular bases. This will help recruiters to know which of their staff is likely to move due to uncertainty. If possible make sure you squash any rumours circulating within the organisation that can prevents your working staff from staying on. Remember to interview the potential candidates about the work culture to find out if they will fit in to the work culture that is practiced. This is an important aspect as most candidates may not approve of the way things are done and this gives them reason enough to change a job acquired recently or to look for a job change after a considerable amount of years spent at the current organisation. Another aspect that we sometimes forget to take in to account in the midst of trying our level best to keep our key staff members is that they sometimes choose to switch jobs of their own accord. As recruiters we need to keep in mind this aspect before we decide to go all out for key players and send them off with a good note. There you have it, everything that you can do on our behalf to convince, ensure and keep our star employees to stay on and to continue to be a vital part of our organisation. Hey there don’t go just yet, do let us know your views and pointers that we have missed out on in the comments section as we’ll be glad to add them to our next post. Is there a practice we follow in particular (send emails/ make calls)? Is there something else that we can incorporate? 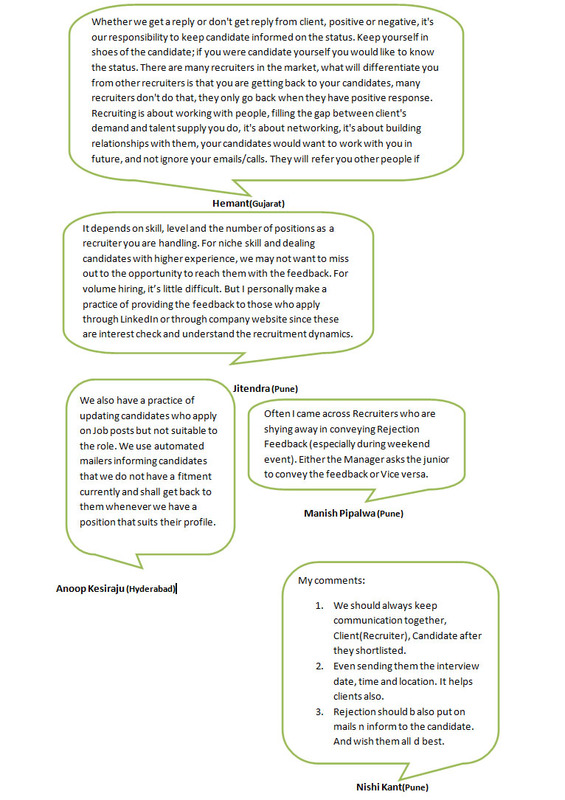 From the conversation that was depicted based on the WhatsApp Group Chat highlighted above we can conclude that it is important to be courteous with potential candidates. This is because as Talent Acquisition Professionals we rely on Potential Candidate Experience as well for our Employer & Employee Branding needs. So now that you are familiar with the importance of informing Candidates about their application status I’m sure you’re impressed with the information shared. Follow us @SourcingAdda to be updated about our upcoming events that might be of interest. More and more Companies are looking for cost effective and time saving methods and techniques to improve the quality of hires. 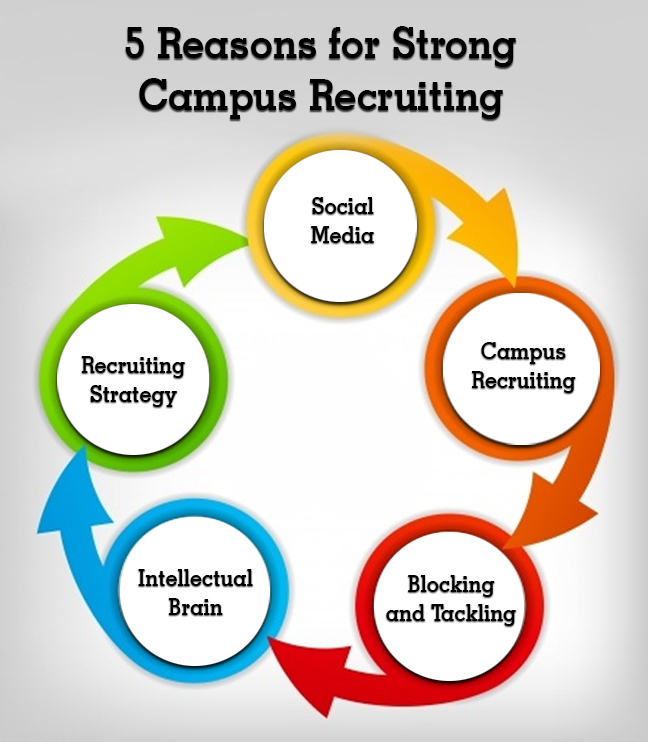 While Social media is the obvious choice, most companies are now looking at campus recruiting as the obvious choice. It’s a surprise! Isn’t it? With everyone turning to Social media to meet their recruitment needs, sites like Twitter and Facebook are constantly flooding with companies and recruiters or recruiting agencies. Hence, if everyone is, tilting towards social media to fulfil their recruitment needs, you can only guess the kind of quality you’ll get. Because let’s face it all the good ones will be picked up. While most companies look to social media to fill positions, the smart companies rely on campus recruiting for more success as they get the pick of the litter from the very best institutes. This helps them as they get the first hand impression of the kind of candidates that are available that too from a recognised institute. Another aspect that on – campus recruiting helps companies with is that it minimises their competitors and even blocks them especially if they aren’t using the same techniques of recruiting their staff, which is usually the case. This gives them more room and even helps them, make good recruitment decisions as they don’t have to compete in a cut throat competition. Hiring campus students year after year builds ones company brand and even gives you the freedom to keep coming back and develop tie-ups with specific institutes without the awkward feeling of first impressions and developing a rapport. Sounds familiar? This ensures that you have a recurring pool of candidates that you can fall back on to fill any vacant positions in time. While On – campus recruitment has its benefit, as mentioned earlier it also has some other benefits as students are likely to opt for vacant positions at your company simply because they are familiar with your company and they’ve got good reviews from students that were pass outs and have been hired as well. Are these reasons enough to give you an idea as to why more and more companies are opting for campus recruitment as the preferred technique or strategy to select candidates that are suitable and that possess the talents required for the job posts? Hope this has been as informative as it has been for me and has it answered the question posed earlier? If yes and if you’d like to add some more, make sure that you leave your views in the comments section. 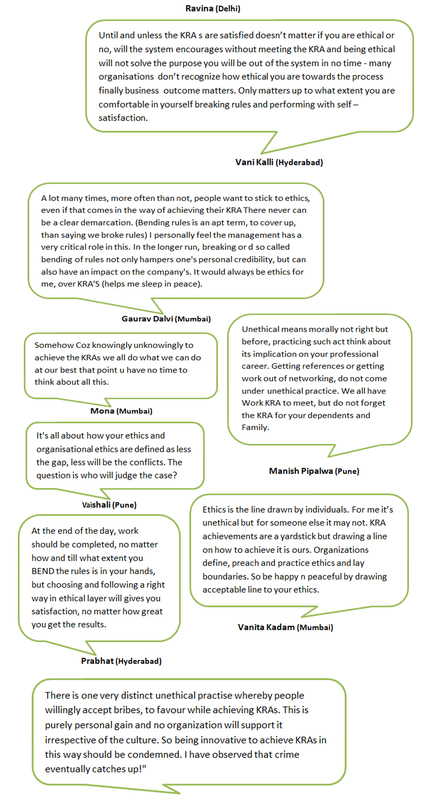 WhatsApp Group Chat – Do we need to consider Business Ethics to achieve your KRAs? 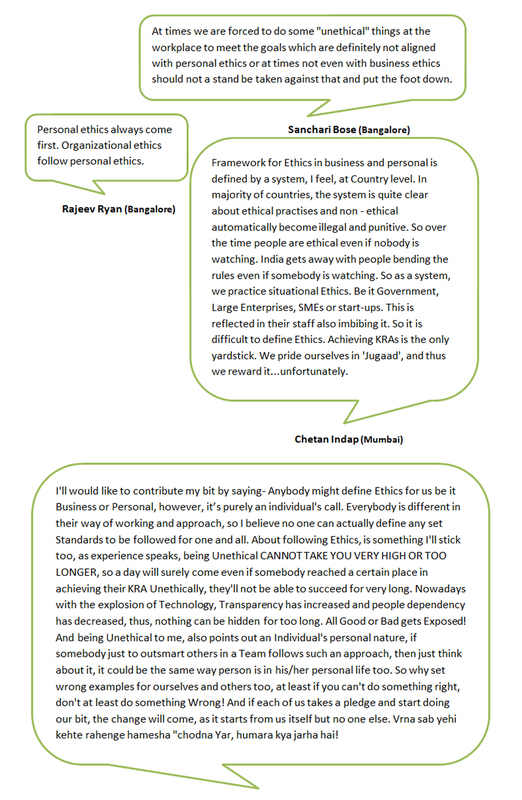 Who defines the ethics for us business or personal? 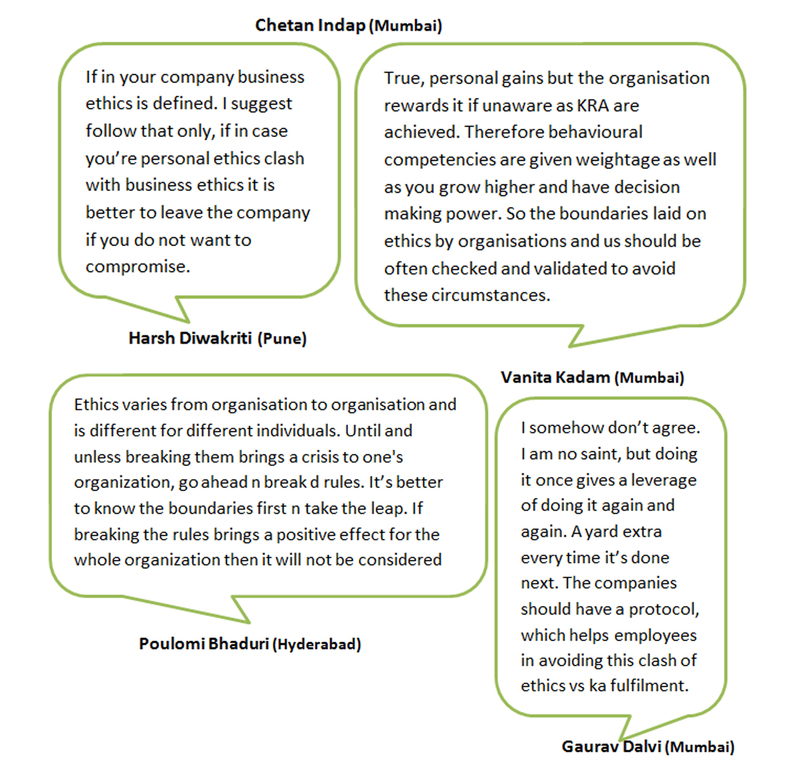 If business defines ethics then should we just follow business ethics? Should we just break the rules and just focus on achieving our KRAS? How informative was this? At Sourcing Adda we’re constantly striving to improve our members experience and the WhatsApp Group Chat is just one example. To know more be sure to follow us @SourcingAdda to get real time updates about our upcoming activities and be a part of them to remain engaged, learn and interact with Talent Acquisition Professionals like your – self. 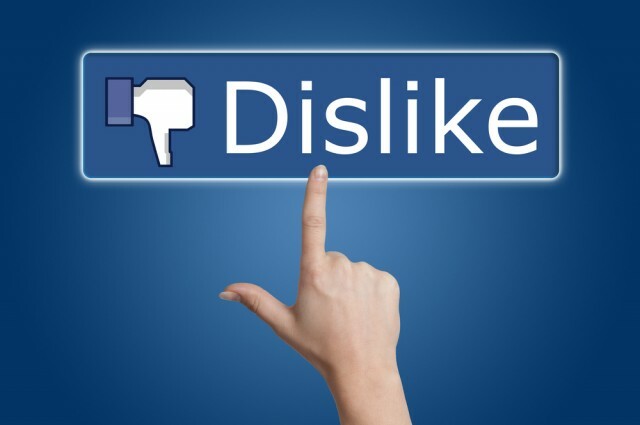 Facebook is building an empathy button not a ‘dislike’ one!